Unique Miao silver ring handcrafted by Ethnic Miao peoplei n Southern China, the Miao villages are the cradle of an art born 3000 years ago, that of crafting silver jewellery with unique designs. 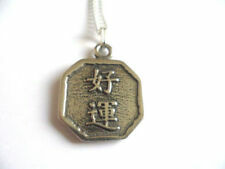 MATERIAL: Miao silver (white copper mixed with silver, not silver plated. ). 3 Chinese Natural shell pendants One drilled hole at the top of the bead. I have tried to give an indication of the variations in the photo. BNSB58 : Red. This superb quality Jade ring has a lovely colour and is ideal for a man or as a thumb ring, it is available in sizes "Q" to "W" (8 to 11). BNS04 : Natural. 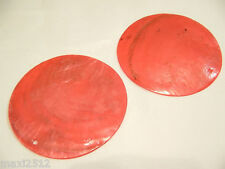 20 Chinese Natural shell dyed bead discs Size approx. Unusual Ethnic Miao silver bangle handcrafted by Ethnic Miao peoplei n Southern China, the Miao villages are the cradle of an art born 3000 years ago, that of crafting silver jewellery with unique designs. This truly authentic and unusual Miao silver cuff bracelet is handcrafted by Ethnic Miao peoplei n Southern China, the Miao villages are the cradle of an art born 3000 years ago, that of crafting silver jewellery with unique designs. Chinese Enamelled Red Dragon Pendant Long Silk Cord Tassel. Lovely Dragon Pendant with red silk cord. A tribal torque from the Miao Hmong people of China and Laos. The 5 torques are joined at the back with a handmade sterling silver chain. I have not over cleaned either. Condition is Used. Lord of the rings necklace. Elves Queen Pendant. Pendant Size: 5.5 x 2.5cm. Perfect Gift for any LOTR fan. Elves Queen Pendant. 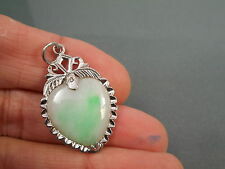 Pendant Size: 5.5 x 2.5cm. Lord of the Rings Hobbit Arwen Badge Silver Butterfly Brooch. Perfect Gift for any LOTR fan. BNS70 : Turquoise. 25 Chinese Natural shell dyed bead discs Image shows the face and reverse of the discs. Unique ethnic miao silver leaf bangle handcrafted by Ethnic Miao peoplei n Southern China, the Miao villages are the cradle of an art born 3000 years ago, that of crafting silver jewellery with unique designs. Unique Miao silver woven flower cuff bracelet handcrafted by Ethnic Miao peoplei n Southern China, the Miao villages are the cradle of an art born 3000 years ago, that of crafting silver jewellery with unique designs. Beautiful and unique ethnic silver filigreebangle handcrafted by Ethnic Miao peoplei n Southern China, the Miao villages are the cradle of an art born 3000 years ago, that of crafting silver jewellery with unique designs. Elves Queen Pendant. Lord of the rings necklace. Chain length: 50cm. 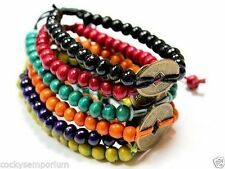 MATERIALS: Copper, Yellow Agate, Red Agate, Green Stone, Red Rope. COLOUR: Copper Red, Yellow, Red, Green. Ankle Bracelet. I always aim to provide the best possible products and service. SIZE: 16.5". Unusual Ethnic silver bat ring handcrafted by Ethnic Miao peoplei n Southern China, the Miao villages are the cradle of an art born 3000 years ago, that of crafting silver jewellery with unique designs. (M/N) Mint condition No box. BNS80 : Natural. 10 Chinese Natural shell dyed bead discs Image shows the face and reverse of the discs. Lovely dragon and phoenix faux cinnabar bangles - red or black - UK seller!! Oriental Look. Dangle Earrings. Material : Real 18K Yellow Gold Finished/ Plated on Brass. Gorgeous Real Gold Plated Earrings. Gold Plated. Not Solid Gold. Box's are optional at 1.00GBP. Pierced Ears Required. 30 Chinese Natural shell dyed bead discs Image shows the face and reverse of the discs. One drilled hole. BNS78 : Natural. 30 Chinese Natural shell dyed bead discs Image shows the face and reverse of the discs. BNS84 : Purple. 15 Chinese Natural shell dyed bead discs Image shows the face and reverse of the discs. 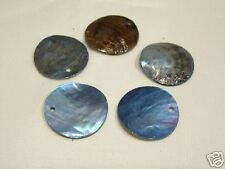 3 Chinese Natural shell pendants BNSB62 : Dark Blue. One drilled hole at the top of the bead. BNS55 : Red. 25 Chinese Natural shell dyed bead discs Image shows the face and reverse of the discs.